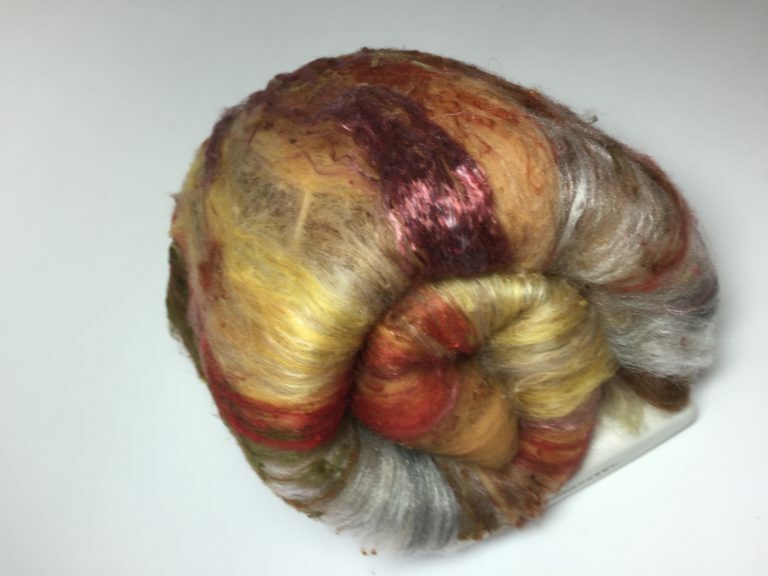 Hand carded on superfine carding cloth, hand dyed and burnished mixed fibre batts. 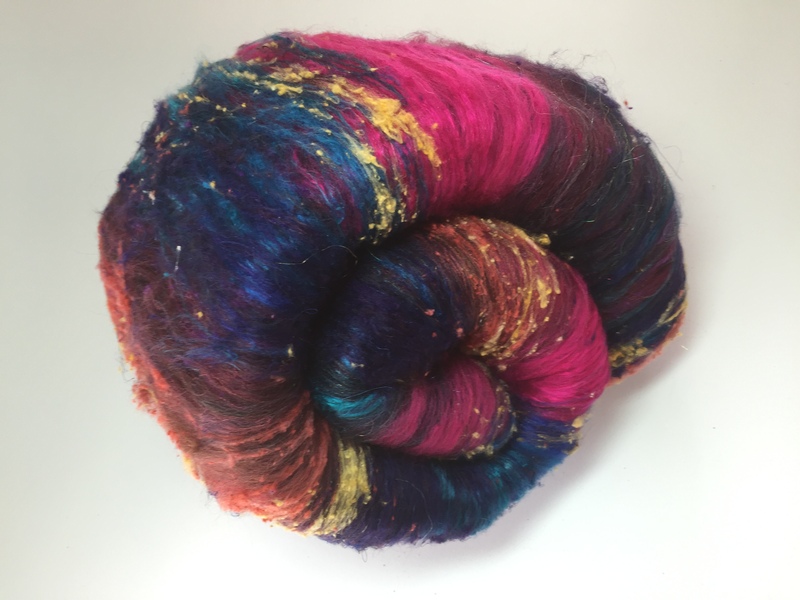 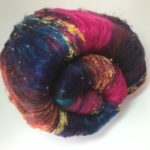 My batts are primarily wool with layers of exotic fibres for the spinners delight. 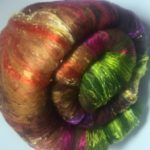 Fibres include Wool, silk (in various forms), milk, soy, tencel, linen, Mohair and Angelina. 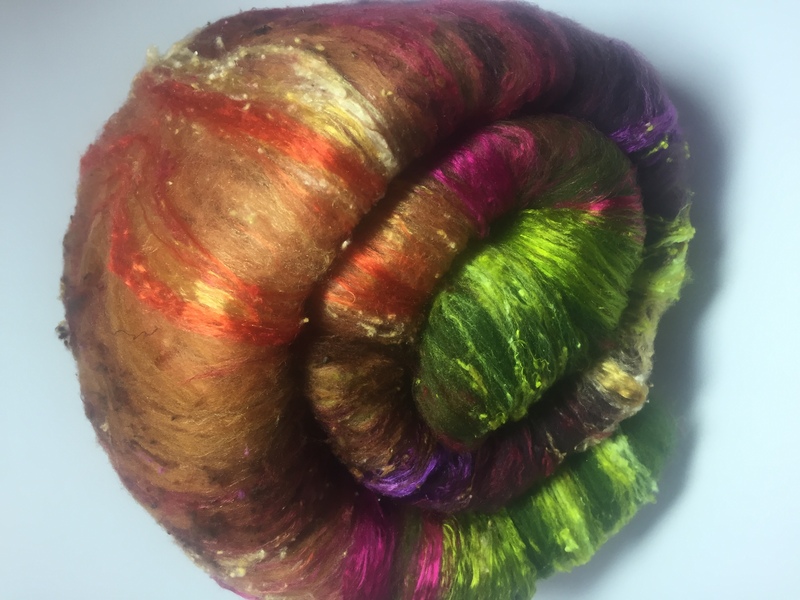 Please see the description next to the photo for this particular batt. 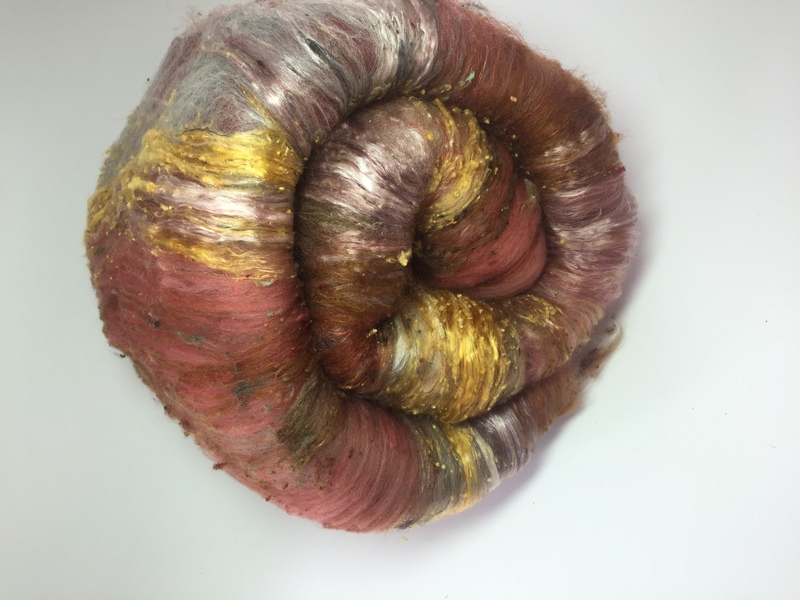 This batt can be used in felting also, especially Nuno felting. 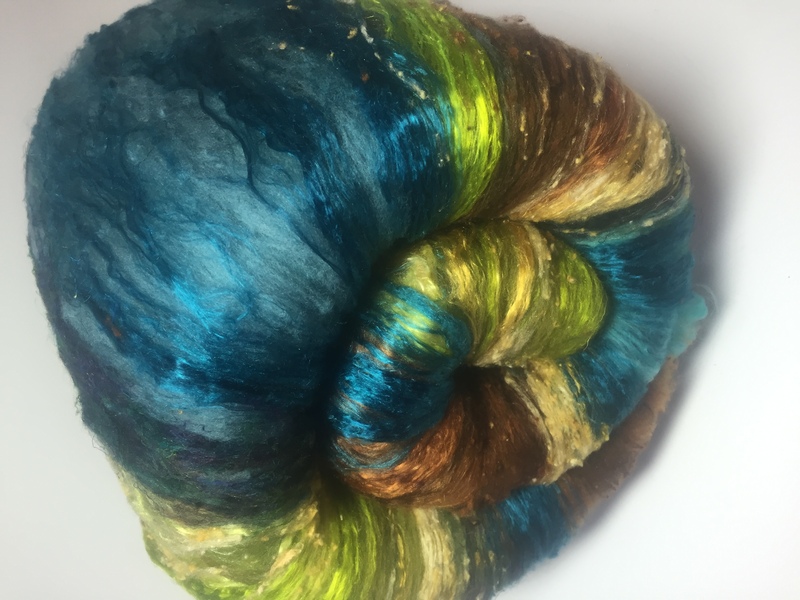 Each one is unique but some are from the same hand dyed colourway.